One of the most common questions we get is how do I apply for a Texas license to carry. While we recommend taking the class first, you can apply for your Texas LTC before taking the class. 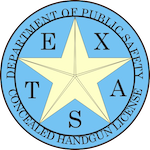 The application for your Texas license to carry is submitted online on the Texas DPS website. You must apply for your Texas license to carry before you schedule your fingerprint appointment. Renewing your license is the same process as below except renewals will not need to complete a class or get fingerprinted again. Arrest record including dates of charges, county and a copy of the court disposition regardless of the outcome of the arrest. NOTE: The above information includes the required information needed for the standard applicant. Active duty military, veterans and Texas correctional officers will need to send in additional documents. After you apply online you will receive a email containing a checklist of documents required. It’s easy to apply for a Texas license to carry. After you have the information above, you are ready to apply for a Texas license to carry. Your application is submitted on the Texas DPS website HERE. You will click on “apply” under “new user”. Fill out the required information on each page. Once the application is completed you will receive a email containing a checklist of the documents you need to send in to the DPS. The average person will only have to send in your certificate of training you receive after taking the license to carry class. After you apply for a Texas license to carry (step one), you are ready to schedule your fingerprint appointment. Your emailed checklist will include the information on how to do this. All fingerprinting is done through a private company, Identogo. Unfortunately, even if you have been fingerprinted by them in the past, you will still have to go again for the LTC. In the confirmation email received, there is a link to schedule an appointment for fingerprinting with Identogo. They do not accept walk ins. You must schedule an appointment and pay ($10). Identogo will then send the fingerprinting paperwork to the state for you. There is nothing from the fingerprint appointment that you need to send in. If you missed the info on how to schedule your fingerprint appointment, you can get all the info you need HERE. Submit all required documents to the DPS. The average person will only need to send in a copy of their certificate of training from taking the LTC class. The checklist you received after you applied will say what you need to send in. You can mail them in OR upload them on the DPS website. For a direct link to upload them or for the mailing address click HERE. 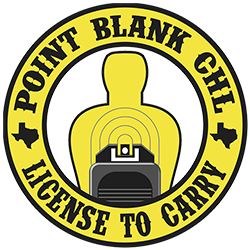 You can take the Texas License to carry class online with us. Our online LTC class is approved Statewide. We are certified Texas Department of public Safety instructors. Get started HERE.